​University Director of Diversity Professor Edwina Pio spoke about peace and diversity to an audience of over 100 members at the Peace Symposium 2018 on 22 September. Professor Pio spoke on women as peace builders, emphasising the importance that peace begins with each of us. "Deep wounds and trauma can be healed through reconciliation in various ways by women who are carriers and weavers of the cultural web of life," she said. 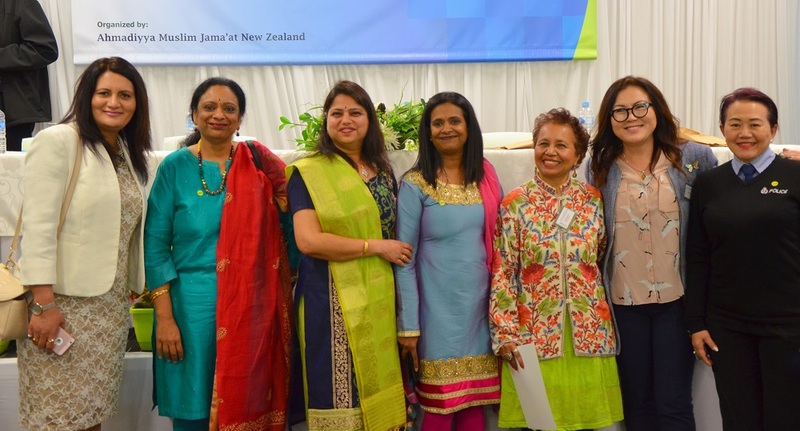 She gave examples of Hutu and Tutsi women dancing with a thread tied to each other, the South Asian festival of Raksha Bandhan, the global network of women peace builders and the WIPNET or women in peacebuilding network. "Peacebuilding is a multi-layered and delicate process. Beyond the absence of conflict, it focuses on restoring dignity and worth. This project seeks to answer the question: How do women build peace? Women are often part of the informal peace process, despite some women serving as formal peace builders on the negotiating table of nations," she said. Professor Pio also spoke about The United Nations Security Council Resolution 1325 in the context of women, peace and security. "SCR 1325 expresses 'Concern that civilians, particularly women and children, account for the vast majority of those adversely affected by armed conflict, including as refugees and internationally displaced persons and increasingly targeted by combatant and armed elements and recognizing the consequent impact this has on durable peace and reconciliation.'" Edwina ended by saying that peacebuilding shapes policies and programs in how work is carried out and how organisations function in societies which may be deeply traumatized by conflict and its aftermath. Professor Edwina Pio (third from right) among members of Parliament and the police.